Official rules are subject to change. Pin Maine-ia – The New England Pinball Championship, is a full day, 18 game match-play tournament. Players play in groups of four and play three games per round. After 3 rounds, the bottom half of the field will be split into a separate “B” Division while the top half becomes the “A” Division and each will play for their own title. The top 8 players in each division will face off in a final round for cash prizes, trophies and plaques. This is a non-elimination tournament! There are no qualifying rounds. Everyone plays until the finals. Only then is the field narrowed. Doors for Saturday’s main event open at 10AM for practice. Sign in deadline is at 11AM. The first round of match play starts promptly at noon. Pre-register for the New England Pinball Championship to ensure a spot in the tournaments. A tournament T-shirt will be given to all registered players. We encourage pre-registration, because there is a limit of 64 players who may play in the tournament. It is quite possible the tournament may fill to capacity with pre-registrations. The entry fee per player is $60. This includes entry into the Pingolf Championship on Friday night and the Maine Pinball Championship match play tournament on Saturday. Prize levels are based on the number of players. The match play tournament is played in six rounds. In each round, groups of 4 players will be assigned to a bank of 3 games. Each game in the group will be played once as a four player game versus the other players in the group. Finishing first in a game scores 3 wins, second 2 wins, third 1 win and a last place finish scores 0 wins. After all the games in a round are complete, each player signs the scoresheet and turns it in. Once the entire round has been played, players will be regrouped according to their win-loss record, with the best records playing one another in the next round. After three rounds the field will be divided into halves with players with 14 wins or better placed in the A Division and players with a record of 13 wins or less placed in the B Division. The A Division scores remain while the B Division scores are wiped with play starting back at 0-0, with randomly assigned groups. The B Division tournament will last 3 rounds, for a total of 9 games. Before the first round, all players will be seeded randomly in the tournament. Following the first session, players will be seeded in the next session by their cumulative win-loss records, with the best win-loss record receiving the highest seed. Ties will be broken by number of 1st place scores earned by players. The player with the most 1st place scores receives the higher placement. Then second place scores, etc. The first grouping will be random. After each round, all players will be seeded according to their win-loss record, with ties being broken by random draw. Players will then be assigned to groups based on seed with the top four seeds in a group, the next four seeds in a group, and so on. Depending on the exact number of players in the tournament, there may be one or more “byes” available. The “bye” will be placed into the lowest group(s) in each round, and these groups will have only three players. A first place finish in a game with three players will score 3 for first place, 1.5 for second place and 0 for third place. Play your group quickly! The faster you play your group, the faster the tournament moves on. This type of tournament runs at the speed of its slowest group — don’t be that group! If a player in your group is missing or otherwise slowing down the completion of matches, please inform us immediately so we can continue to move the tournament along. Each player group will be assigned a bank of three pinball machines to play for the round, chosen randomly from the banks of games available. 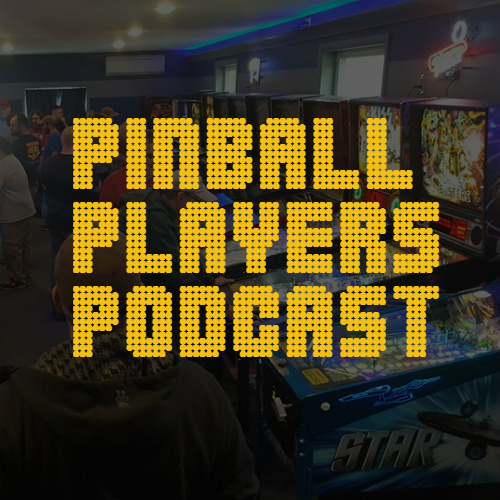 Banks of games will be broken into groups to include a game from a different era of pinball. For example, a bank may include a game manufactured between 1991 and today, one between 1985 and 1991 and one prior to 1985. Game grouping is limited to the available games, so all groups may not adhere strictly to this format. The highest-seeded player within each group (players are listed on the scoresheet in descending order of seeding) chooses the order of play for the first game. The remaining players choose their order, in descending order of seeding. For subsequent games, the last-place finisher of the previous game chooses the order of play for the next game. The remaining players choose their order, in ascending order of finish in the previous game (3rd place, then 2nd place, then 1st place). All players will play their games and record the results. Exact score ties between two or more players will be resolved with a one game playoff on the same game. When all games have been completed by a group, each player will have a win-loss record from the round. The best possible win-loss record for a round is 9-0, and the worst is 0-9. A group must complete and sign its score sheet for the session, then return it promptly for entry. Once completed and signed, all score sheets are final, so please check the score sheet carefully before signing. Prompt entry of score sheets is essential to the timely progression of the tournament. In any scenario where a player has already defeated his or her opponents and still has one ball left to play, that ball should be plunged but not played, as it cannot affect the results. A score must be recorded for the winning player. Unsigned score sheets will be processed normally; if there is any dispute that necessitates a ruling, it must be brought to the attention of tournament coordinators immediately. Once seedings have been published for the next session, no changes can be made to prior recorded results. More than one group of players may be assigned to the same machine within a bank. If you the next machine on your list is being played, move to the next available machine until that machine is available. As the tournament progresses, banks will continue to be assigned randomly but best efforts will be made to place players in a bank they have not played previously. There will be 6 rounds before finals. All players will play 18 matches. The first round will start promptly at 12 noon, and rounds will continue into the afternoon with final rounds to follow. The schedule may be changed slightly if rounds end early or run late. If you need to leave for any reason, speak to your group or see a tournament coordinator. After 3 rounds, the field will be divided into halves. Players with 14 wins or better will continue to play in A Division for the top prizes. Players with 13 wins or less will be placed in B Division to compete for its prizes. These players will have their losing records erased. B Division play starts back at 0-0, with randomly-assigned groups. The B Division tournament will last 3 rounds, for a total of 9 matches. The top 8 record holders in each division will advance to the semifinals. Games will be selected randomly from the entire list of available tournament machines. Top 2 finishers of each group advance to a final round. In the first game of the finals, the higher-qualifying player has choice of play order. In subsequent games, the loser of the previous game has choice of play order. All machines that allow it have had extra balls turned off. If you are awarded an extra ball, play it. Some games may be set to 5 balls. If your game is set to 5 balls, play all 5. Play only your ball. If you play another persons ball you will be disqualified and receive a zero for the game. Staff reserves the right to eliminate a game from play at any time, especially if a game is a “long player” that is holding up the progress of the tournament. Eliminated or broken-down games will be repaired if possible as techs may be playing in the tournament as well. Best efforts will be made to replace out-of-order games with a similar era game which may be in another bank being played. A player tilting through another player’s ball or slam tilting a game in progress, loses that game immediately. Players may not interfere with another player’s ball. There is no “coaching” allowed while a player’s ball is in progress. If you wish to share strategy advice with a player, do so before the game begins or while their opponent is at the machine. Failure to maintain a family-friendly attitude (including, but not limited to, swearing, taunting, kicking, biting, or stealing T-shirts) will probably result in disqualification, forfeiture of any and all T-shirts, and expulsion from the event. Staff reserves the right to make whatever decision seems appropriate should something happen that is not specifically covered by these rules. In any case, the decision of the tournament director is final. If a ball gets stuck, stop playing and ask for a staff member to assist you. If a ball becomes stuck during multiball (a potential advantage), trap up balls as soon as possible and ask for assistance immediately. Players may not take advantage of “positive” malfunctions such as a repeatedly registering switch or one-ball multiball. If this occurs, a ruling will determine what should happen next: if possible, a reduction in score to offset the effect of the malfunction. If it is not possible to determine the appropriate score of the game, the game will be restarted regardless of situation. If a malfunction occurs during gameplay, stop immediately and ask for a staff member to assist you. In the case of a machine malfunction, players will be given the choice to count the current game score at the time of the problem or replay an entire game. They must decide ahead of time and cannot play and then decide which game to choose. In cases where the game cannot be fixed quickly, the game will be restarted on another machine. While there is no specific definition of “malfunction”, there are several physical aspects of pinball which are not considered malfunctions — a ball falling out of a hole or getting rejected from a ramp, or flying over a flipper, or rolling off a habitrail into an outlane, or a ball saver not kicking in when it “seemed” like it should. None of these things will be “fixed”.